THE ROCKET MAN SHOW | Love Productions Inc. Currently featured as Elton John for his official ‘Farewell Yellow Brick Road’ Virtual Reality world tour media campaign, and Working closely with Elton, David Furnish, Rocket Entertainment & Spinifex Studios, we have magically recreated Elton’s 1970 US debut gig at the Troubadour in West Hollywood, as well as his 1975 Epic LA Dodgers stadium concerts. 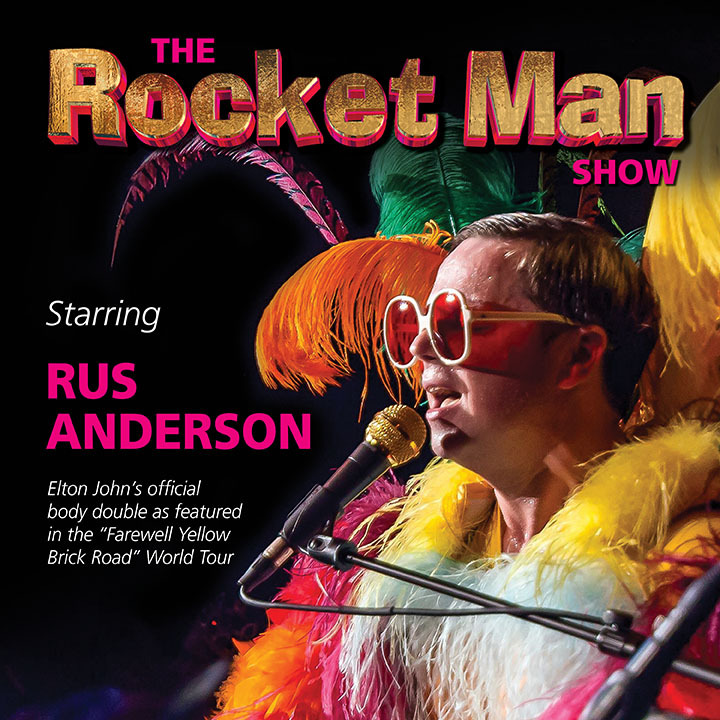 The biggest, most flamboyant & most authentic Elton tribute in the world. Wearing gorgeous, colorful & spectacular costumes (many actually owned by Elton) including iconic boots, glasses & jumpsuits from 1973, as well as a sparkly Swarovski tuxedo from 1984! regularly feature across the country at House of Blues, Hard Rock Live, Caesar’s, Legends In Concert, BB King’s, Universal Studios & Walt Disney World.